It’s a word we hear a lot these days. I think it’s something our souls long for. Yet, in the world in which we live, it is not something easily found. Rather, it’s something well hidden – from ourselves and from others. It’s an age where media and those on large platforms shout out to us to be yourself. Be you. Be true. More and more people decide to live in ways contrary to what has been the social norm. Living loudly, many speak of the necessity of living true to who we are. But I wonder … Is all the loudness really who we are? Does rebellion mark our identity? Are our authentic selves found in radical behaviors, beliefs, or lifestyles? I believe ironically, many of us are using a claim of authenticity as one more wall to put distance between ourselves and vulnerability. Because when we are loud, we are distracted. And when we are distracted, we don’t have to look truth in the eye. We can avoid vulnerability and replace it with boldness. Taking offense, debating endlessly, and arguing with anyone willing to fight gives us a sense of control over our environment. We call it authenticity. But I believe it’s a mask. However, loud isn’t our only methodology for distance-making. There are others. Many others. Because it’s a battle within every single one of us. You see, authenticity takes vulnerability. And vulnerability takes courage. Immense courage. So, if I’m not using rebellion as my primary distance-maker, my go-to method may be seclusion. Maybe I keep life a bit isolated and only peek out into the world from behind my computer screen. Social media is my go-to when eye contact feels like too much. I look down and away from the eyes that may make me connect too deeply. Or, maybe it’s the finesse of small talk. Chitchat that never goes below the surface where the only ones who witness my tears are the walls of my well-kept home. And still, my method may fall in other categories. Maybe it is busyness. The more I fill my every moment, the less time I have for vulnerability with others. Perfectionism is another one. Making everything look perfect is a great wall between ourselves and vulnerability. Friend, what is your method? What is holding you back from authentic relationships with others. 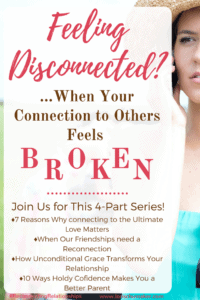 What is holding you back from experiencing the fullness of deep connection? These ladies get it. They know if we are authentic with each other, we reveal what’s below the surface. We reveal the tender places within our souls. Our faults, strengths, fears, and hopes. It opens the door to rejection. It’s where others tell us with their words or actions that we are not good enough. So how do we do it? How do we live authentically in a very confusing world? How do we reconnect our friendships? What does a true friend really look like? It all starts right where I began this series last week – with connecting to the ultimate Love. When God’s love defines us we do not allow fear to control our relationships. His love leaves us free to face each new opportunity head on. We comfortably set appropriate boundaries, without building unhealthy walls barring relationship. God’s love enables us to extend forgiveness far beyond what the world tells us is possible. That forgiveness sets bitterness free and ignites hope. When pride is not involved and irritation doesn’t live near the surface, taking offense to minor or non-relationship-impacting incidences becomes less tempting. Living with holy confidence gives us the courage to communicate truth in love. Without judgement and only with the other’s best interest in mind, we effectively speak. Rejoicing without jealousy alongside a loved one stems from a heart filled with God’s love. Comparison no longer holds its power over us. Without expecting a return, we sacrifice for another. Whether it’s risking hurt feelings or not, successful relationships need encouragement and a willingness to sacrifice. Successful relationships take commitment. When we are connected to the ultimate Love, staying is part of who we are. Instead of running out the door at the first disagreement or disappointment, we tap into the grace God has placed in our heart. We find the courage and we work through the problems with our loved one. But don’t forget these things as you make a reconnection and become a true friend. Get connected with Jesus. Know His Word. If you’ve never opened the Bible, start now. If only have 5 minutes, start with that. God will take your offerings and multiply them. Give Him what you have and watch what He does! Pray, asking Him to make His Word come alive for you. Ask Him to fill you with an insatiable craving for Him and His Word. Learn the art of replacing lies with Truth. Remind yourself again and again that you are marvelously created by the God of the Universe and not defined by the instability and sin of this world. Tune into your weaknesses. Realize the walls you place between yourself and vulnerability. Find ways to combat them. Pray for wisdom and courage. Find safe people. Ask God to bring them into your life and give you eyes of discernment so that you may recognize both safe and unsafe people. Be you with healthy boundaries. Recognize that rejection may occur. However, also recognize that without failure, we never taste the sweetness of success. We can’t improve what we do not recognize as a weakness. If your friendships need a reconnect, find your disconnect so you can get started on the next chapter. Contemplation and self-awareness isn’t easy. Calling ourselves out on our behaviors is extremely tough when we already feel lonely, but it’s the next step to your something better! I shared my new quiz with you last week as your challenge. If you didn’t start there then, I encourage you to do so today. And then be on the look-out because ext month I am releasing an email course titled Longing for More than the World’s Reflection. It will walk you through the steps to seeing yourself in the reflection of an unwavering and loving God rather than in the unsteady and often angry reflection of the world. Stay tuned for more information! This week’s featured post is written by a powerful writer I’ve respected for a long time. I think it’s because her words reflect a true authenticity. 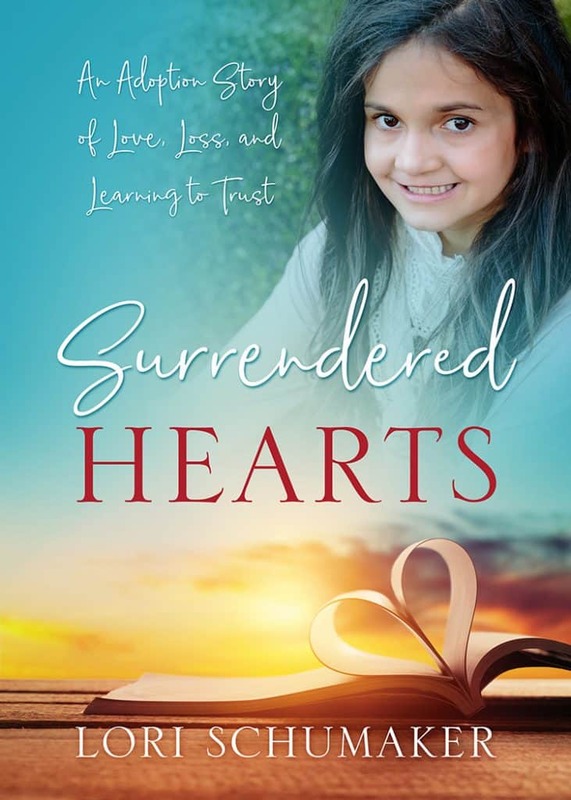 She doesn’t reveal too much, yet gives us glimpses into her life, her hurts, and her hope. 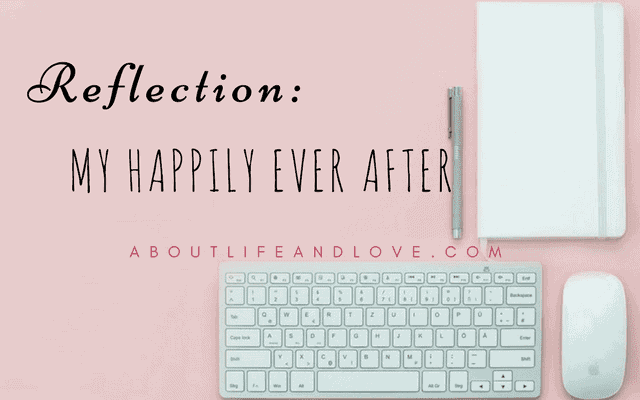 This week, Lux from About Life and Love, shares her Happily Ever After Story. I believe it’s a big aha moment for her and one I pray every woman, young and old, eventually comes to know. And I believe Lux’s heartfelt words are just the kind God will use to make that revelation. 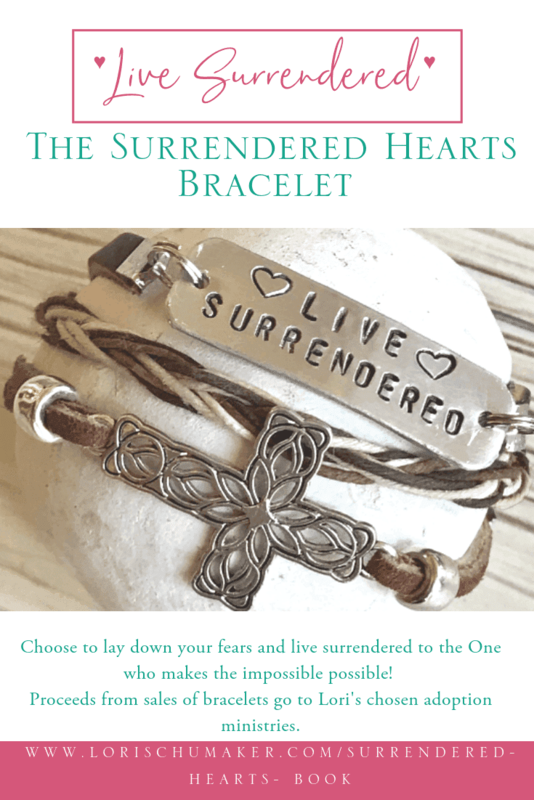 Would you join me over at About Life and Love? And would you share the truth of the only real Happily Ever After we will ever have? Give Lux some #MomentsofHope style love, too, okay? 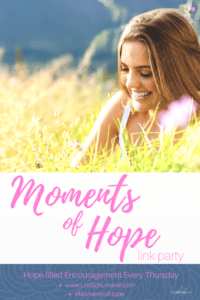 Welcome to the all new THURSDAY #MomentsofHope Link-Up! Share up to 2 blog post URLs resonating with the topic of HOPE. That which gives us hope for tomorrow and hope for victory. The little things and the big that inspire us to lean into Jesus and let Him carry us through. #MomentsofHope is a place to give and get hope, so let’s encourage others in their efforts to share the hope of Jesus. If you have time, stop by more than one sweet writer’s little corner of the blog world! Please either grab the NEW #MomentsofHope button found here and in the sidebar, or link back to me. If you’ve been featured, grab your button here! I had the joy of time one-on-one with a friend just yesterday, sharing from our hearts and connecting deeply. At one point, I was aware of that lump in the throat and was tempted to shift the subject to a lighter topic. I’m glad I resisted the temptation, but it’s amazing how effective we are at resisting vulnerability. As I read your words, Michele, I thought of a several times in life where the urge to avoid the conversation or switch the topic has arisen. I know the times I resisted, I have experienced the deepest connections. I agree, though, we are quite effective at the resistance! Thank you so much for joining me here. You are appreciated! Yes, we often substitute busyness, loudness, perfectionism for vulnerability. Connecting and being vulnerable seems to take place one-on-one or in small groups. At least for me. I have been setting aside more time to get together with friends and talk, because this seems to be where it happens. Thanks for writing on this issue. I’m like you, Theresa. Smaller groups and one-on-one is where the deeper relationships happen for me! Thank you so much for joining me here today! You are a blessing! I love this! I am finding myself in a time when I crave these deeper friendships. But I love your point at the end about getting connected with Jesus, because He’s the only One who can truly satisfy these desires! Being too concerned with what someone else might think or fearful of losing a budding friendship often keeps me to myself. But when I am more concerned with God’s truth than others’ approval and focus on the joy of connecting with another Christian woman (even if it is short-lived), I feel at peace. Thank you, Lori, for your thoughts here. I hope you have a beautiful Thursday. I’m your neighbor at #DestinationInspiration. Too often our relationships with others fail because we look to them to give us something, rather than thinking about how we can serve and love them. And things never work when we become self-centered, right? thanks for your thoughts here. “Authenticity takes vulnerability. And vulnerability takes courage.” So true. We often confuse authenticity and vulnerability, or count them as one thing, but they are two things and we need both of them to truly connect with others. Lori, I think you’re right! It takes vulnerability to be truly authentic. Great observation! I do struggle to find meaningful connections with the outside world. Partially because of the stage of life I’m in- over 40 with a newish baby. I find that I don’t really “fit” anywhere. Partially because I don’t have many avenues for connection. And partially still, because I’m afraid, to be truly honest. The Lord has been kind and gentle with me. He knows why I am scared to let down those walls. And He is not pushy. Rather He slowly and patiently leads me. I am getting there- bit by bit. I appreciate your wisdom here. Blessings to you! Rachel, I am praying that God brings the right friendships into your life very soon! I can imagine your unique situation and always, when we are in a unique life situation, the usual people in our lives don’t quite understand. Even those that love us don’t quite get it and when they don’t get it, we are left feeling disconnected. I am also praying for those walls to come down and that your trust in God conquers any fear the enemy is attempting to place in your heart to stop you from making the deep fulfilling connections God desires for you ♥ Many blessings to you, my friend! Great words of hope and instruction here! Relationships do take lots of work and commitment. Your neighbor at Faith on Fire. Deep connection is so life-giving and we miss so much when we fear opening up and being vulnerable or just choose to hide. Learning to be authentic and vulnerable is risky and scary, often you can be hurt by others responses, but when you find safe people to share deeply with it is such a precious gift. Thank you for this great encouragement! Yes, it does take vulnerability to be authentic. I know for me its better time management and alternative ways to connecting. I am away a ton but that is not excuse. Phones still work. I know what you mean, Maree. I am so guilty of it, too. And then I feel the disconnection and realize I’ve done it again! Wow. I sure am feeling this today. I’ve been going through some friend ‘changes’ (changed churches and household dynamics) so I am feeling the loss, and wondering if I am being all I can be. Thanks for this focus! Praying for you, April, during this time of transition. May God bring the connections and re-connections for which He created you! Happy Monday, Lori! I am so thankful to God that I have a best friend whom I can be authentic with. We have experienced the highs and lows of friendship and gone through many of the perhaps painful, yet necessary stages you’ve mentioned above. However, she lives 3 hours away and I do long for a close relationship among my local community of Christian sisters. This has been a CHALLENGE. It means that I have to put myself out there and be vulnerable. SCARY! But you are so right, being vulnerable may mean that we open ourselves up to rejection, etc., but it also means that we may find true friendship. Thanks for the encouragement and the reminder! Hi Tiffiney! I remember you once writing about your best friend! Although it’s easier to keep in touch these days when the distance is far, there is something about that day-to-day face-time that our souls need! Praying God brings that group of friends to you soon! Very insightful and vulnerable, Lori! Thanks for this challenge, my friend! It’s one I surely need! I for one am not liking fake and phony. I can see through so much more of it, I praise the Lord for His discernment. I think it’s more important than ever that we strive to be genuine, authentic and available. Thanks for your insights Lori! 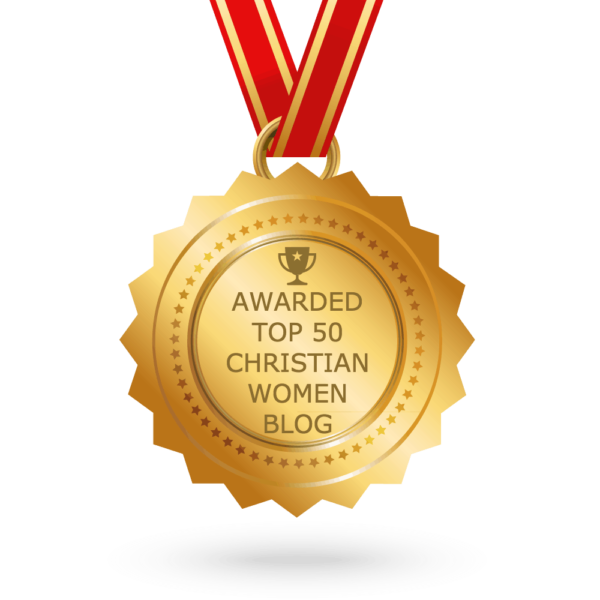 I have just found your link up & enjoyed your post above, being open & honest with ourselves before God is very scary, but so worthwhile & if we have christian sisters to share in the journey… how amazing is that! You are invited to drop by & enjoy a cuppa with me by the sea. I just had this conversation with my daughter yesterday. She longs for true connection with friends, but it all seems to be fake, filled with Instagram playdates, Pinterest inspired social media posts and lack of being intentional. She is a young mom in her mid-20s and her experience with true connection within friendships has been bleak at best. She asked me, why can’t people be normal anymore. I responded that I feel social media and smartphones have done a lot of damage to how people interact with each other. Your post offers so much wisdom on ways that we can work on ourselves to truly connect. Because after all, we can only change ourselves. I loved the Scripture verse you shared from Philippians. It was perfect. And thank you for pointing us back to the One who loves perfectly. “Taking offense, debating endlessly, and arguing with anyone willing to fight gives us a sense of control over our environment. We call it authenticity. But I believe it’s a mask.” <—-THIS! totally right where our world is today… and sadly the church is often no better. it does take great strength and courage to be vulnerable, but it’s the only way to find relationships that are truly satisfying. Thanks for this great post!